Welcome, dear friends and 1st-time visitors, to my first spring tour of the season! 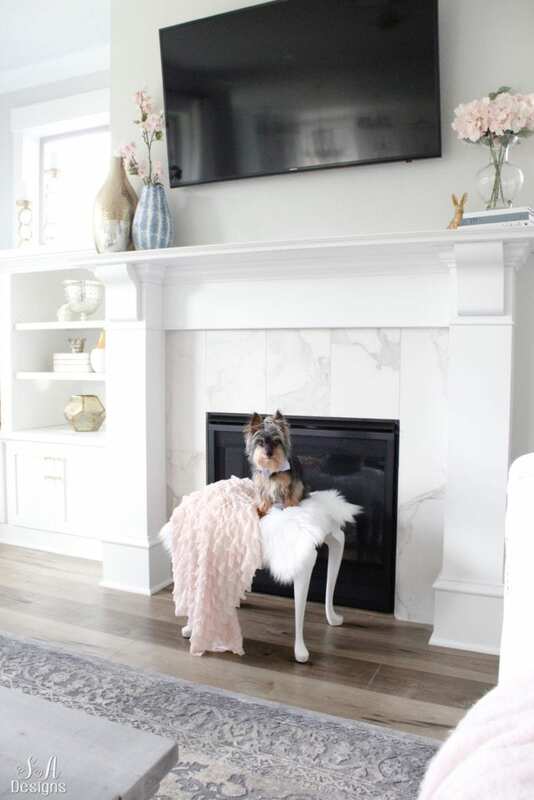 Today I’m sharing with you my blush and blue spring mantel and I’m so excited to be joining such a talented group of friends and bloggers to bring you a ton of fabulous inspiration for the season. If you follow me on Instagram or if you saw my blog post yesterday of my Rain Gear Round-Up for Spring, you probably already know what a crush I’m having on blush and blue together. So it’s probably no surprise that I’m using it throughout my downstairs and have chosen it as my color palette for the spring season. Click here to read my full disclosure policy. All opinions are my own. My basic white mantel with mixed metals can be seen here. I switched out some vases and pieces to reflect my color palette. 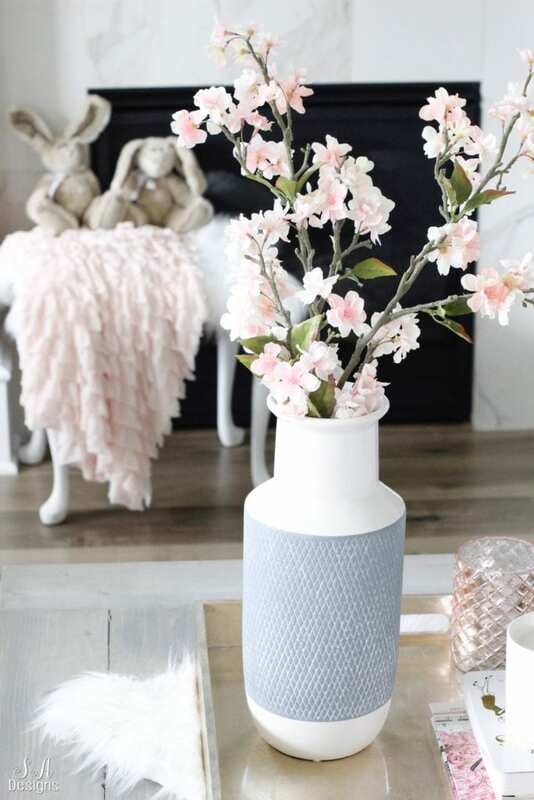 I found this darling blue vase at HomeGoods and added some faux blush cherry blossoms from Michaels but you can find similar vases here. On the opposite end, I switched out my fresh flowers for a lovely faux blush hydrangea floral arrangement. I also added some blue color to the stacked books and grabbed my vintage copy of Little Women. The gold glitter bunny was a fun repurposed project. 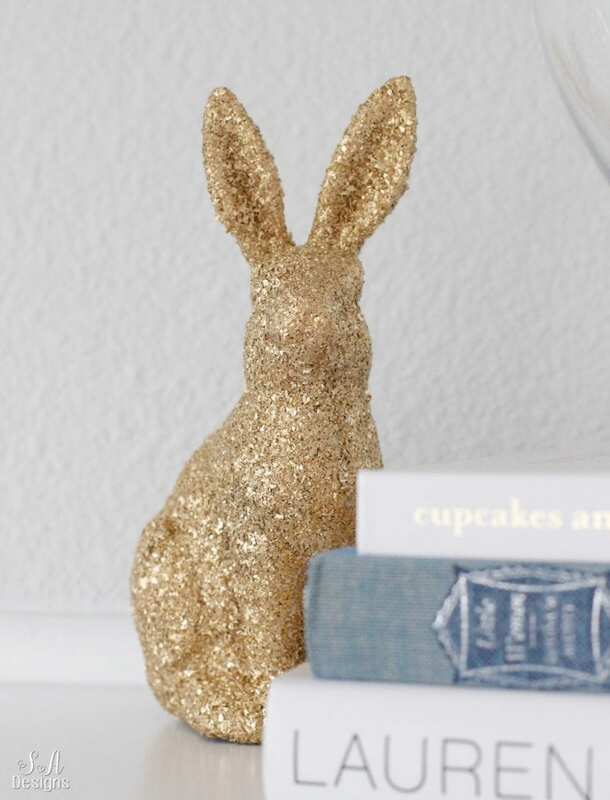 I have a bunch of German glass glitter bunnies from Pottery Barn that have darkened in color, as they do over time. I find it charming BUT my home is much more transitional in style these days and less shabby chic so they had no purpose unless I changed them. I was going to re-glitter them with gold glitter, originally, because I wanted gold bunnies and couldn’t find them anywhere. But I grabbed my favorite gold spray paint and tried spraying it and it turned out exactly how I wanted it. It was nice and gold and shiny. I sprayed some others as well and added one to my built-ins for some contemporary hints of spring. I also added touches of pink, like the glass pink bottle. 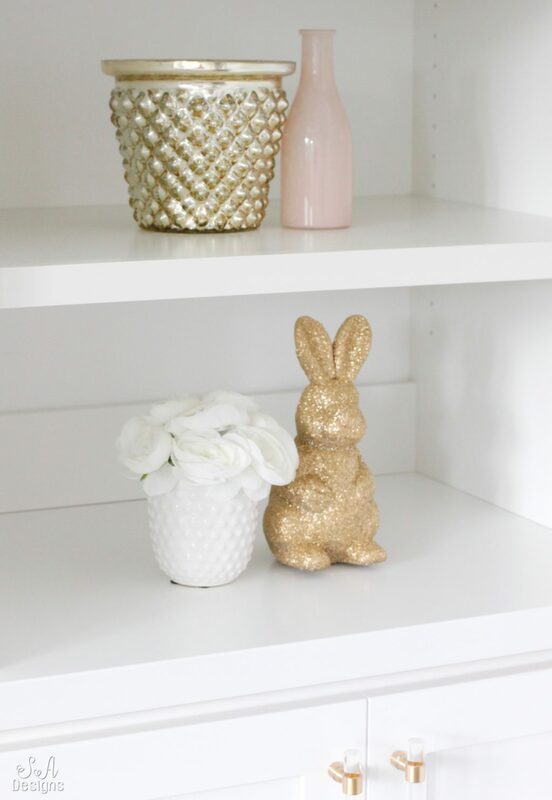 I didn’t want a ton of bunnies and eggs everywhere but I took another sweet bunny from my collection and added it to the other side of my built-ins. I switched out the picture of the Salt Lake LDS Temple (a special place for my husband and I) to a spring picture that included cherry blossoms. I also placed a cute glitter “spring dream” bird box that my best friend sent me from one of our favorite boutiques. Since Giorgio, our almost 14 year-old Yiorkie, got a new bow tie and was color-coordinating with my spring mantel, I let him get in the picture and model it for you…ha! We just love him. Especially right after a bath when he’s so fluffy! This pretty ruffle throw blanket is sold in my online shoppe but we will be discontinuing them soon so head over and get one now. They come in 4 colors. 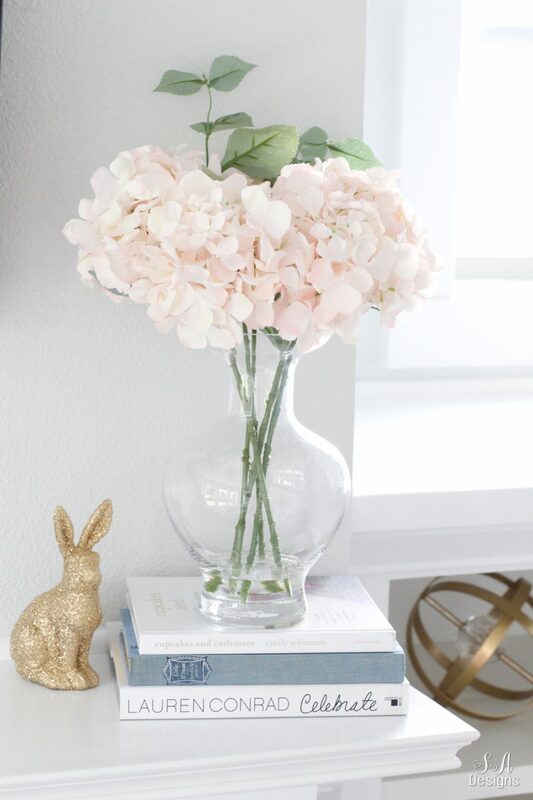 This pretty vase normally sits here on my coffee table. 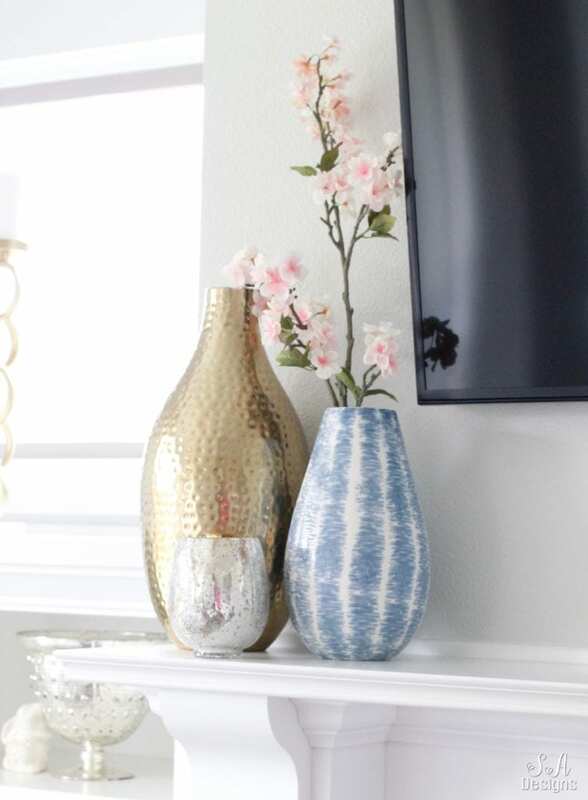 I also bought it at HomeGoods but will be linking some other gorgeous blue vases below at the end of the post. Okay, so this would be enough of a change to me and I’m pleased with my mantel at this point. 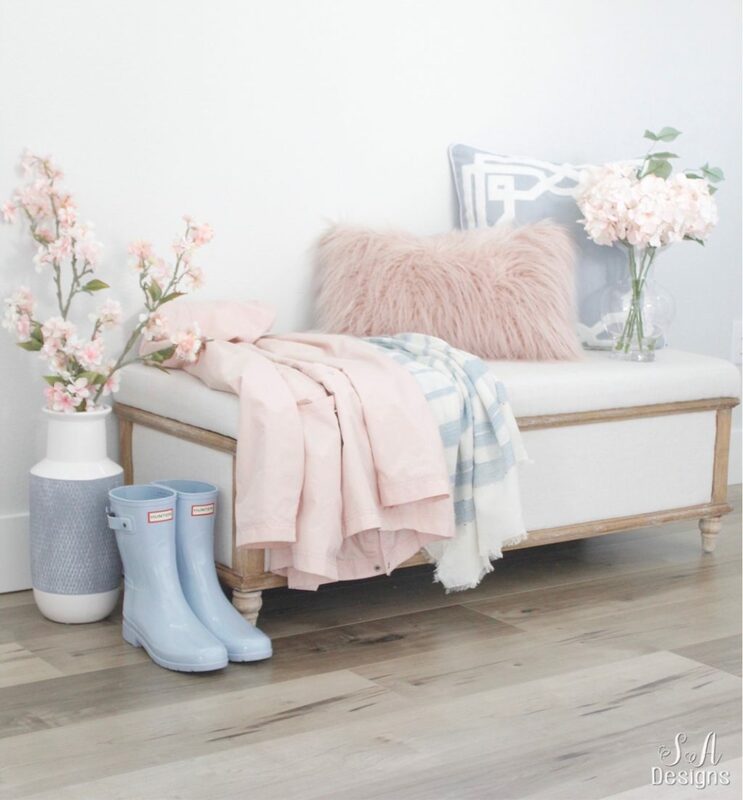 I’ve added blush and blue and small hints of spring AND I have new blush and blue pillows coming next week and I can’t wait to show them to you. They’ll compliment this room beautifully. 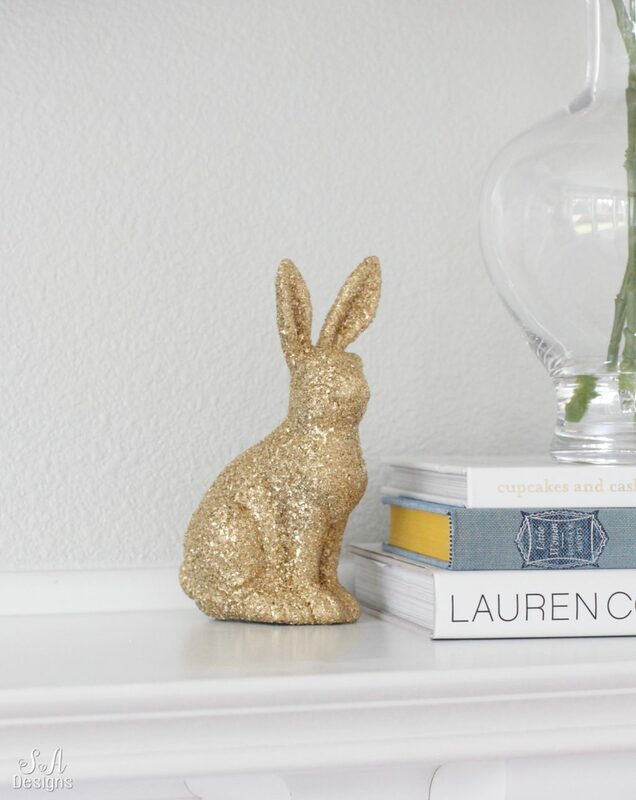 However, if I want to add a few more Easter touches the week of Easter (and I plan to) I will just add 3 more things. 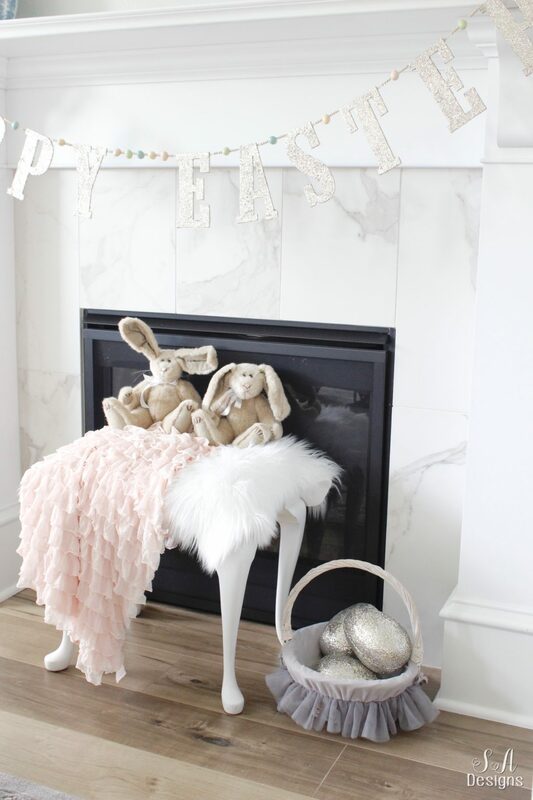 1 – I love to bring out this darling glitter “Happy Easter” banner that I purchased years ago from Pottery Barn Kids and I just love the fun that the extra sparkle brings. My kids immediately get excited and know that we are close to the Easter Bunny visiting. 2 – My mom bought all the grandkids these adorable vintage-inspired soft little bunnies years ago and the kids are obsessed with them. Because they’re so nice and so special, we wrap them and put them away after Easter. They have plenty of other stuffed animals and blankets from Nana and Papa to snuggle with the rest of the year. I hope these sweet bunnies are something that they save and put out at Easter one day, when they have families of their own. 3- Lastly, I bring out the kids’ Easter baskets and put them below the mantel. 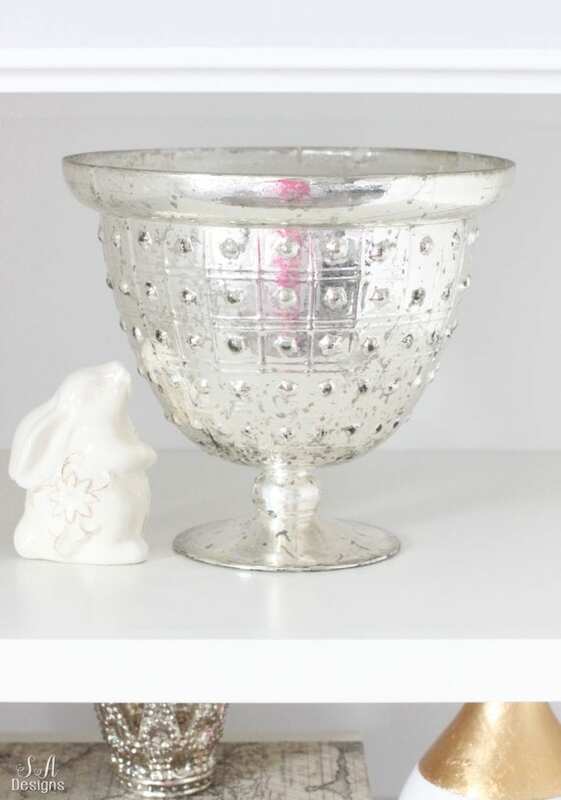 This one is mine (found at HomeGoods a few years ago with glitter eggs from PBKids years ago also). I’ll be sharing my kids’ baskets soon but they are getting new ones and are still in transit. 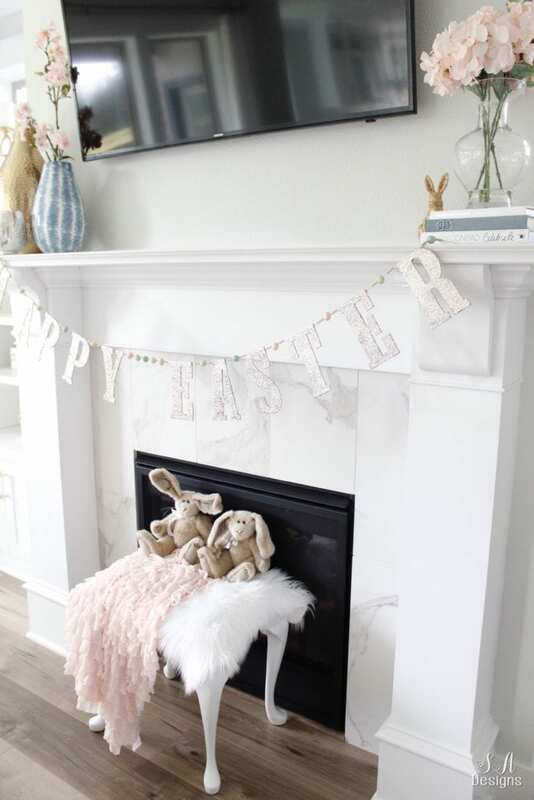 Those 3 extra things take our mantel from “Spring” to “Easter” in such a simple but almost magical way. 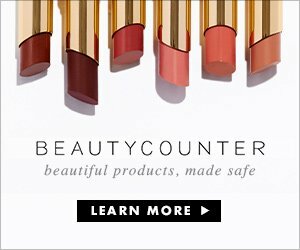 For your shopping convenience, I’m sharing items from this space below or similar items. For all furniture and other room sources, please visit our Living Room post and also our Paint & Flooring post. I’m so glad you stopped by today! I would love it if you subscribed at the top of the page in order to receive my weekly emails of all my latest blog posts and hear about digital printables & freebies, as well as sales or new items in My Online Shoppe. You can also follow me on Instagram, Pinterest, and Facebook to see what I’m up to in creating a home and lifestyle of inspiration! Want to remember this post? Pin this image below! summer- it’s all so pretty and fresh. 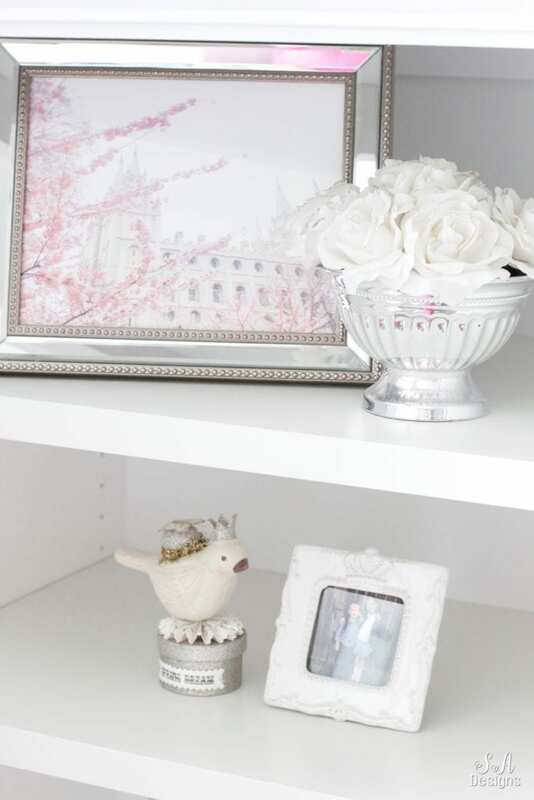 i love how you brought out special and sentimental items to you and your family. enjoy spring and the easter season. BEAUTIFUL color palette for spring!! 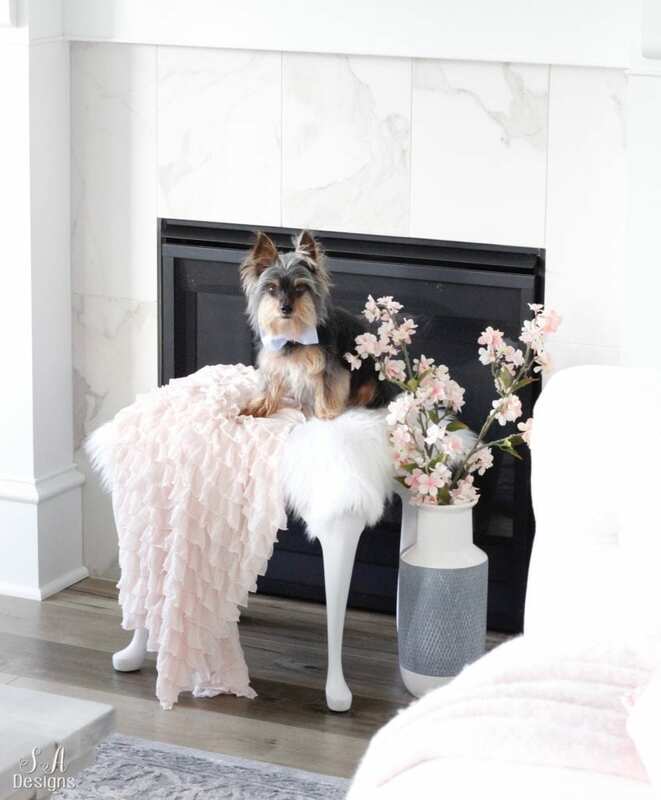 I love how you perfectly styled the blue and pinks together! So pretty! This is all so pretty, Summer! 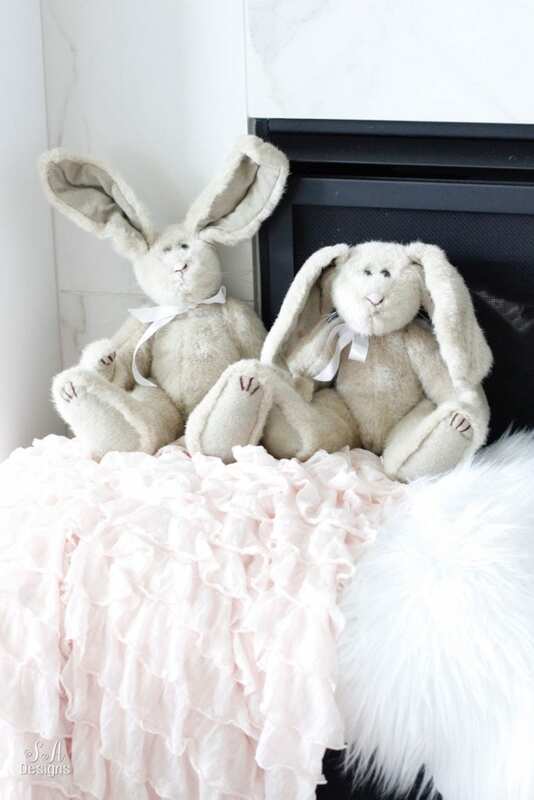 I’m loving the blush and blue color palette, and those little bunnies you made over – adorable!!! Beautiful spring touches, Summer! I love the soft pastels. Your tours always such a treat! Summer this is so beautiful. 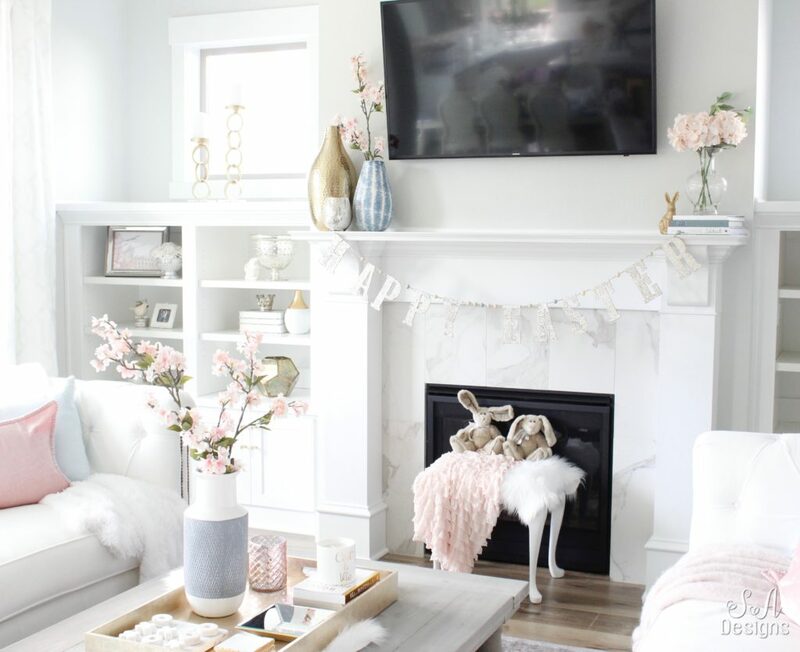 The touches of blush and blue are just perfect for spring! Love every detail. So sweet and pretty, Summer. I love those beautiful little bunnies! And all the white and blush is absolutely sublime. So glad you could join in on this hop! Stunning – I love blue and pink combo! Now we need to discuss setting Giorgio up with Sushi (my almost 4 year old Boston Terrier). She loves older men – especially ones in dapper ties!